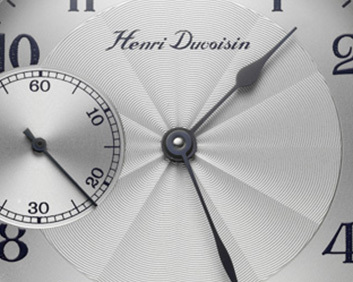 Classic Henri Duvoisin watch with an historic movement Fleurier. Limited edition of 35 pieces numbered, steel or gold, made in Switzerland. Regulator Henri Duvoisin watch with an historic movement Fleurier. Limited edition of 25 pieces numbered, steel or gold, made in Switzerland.